Journalists for the Huánuco-based OVNIS TV program have shaken social media on account of a YouTube video they have published. 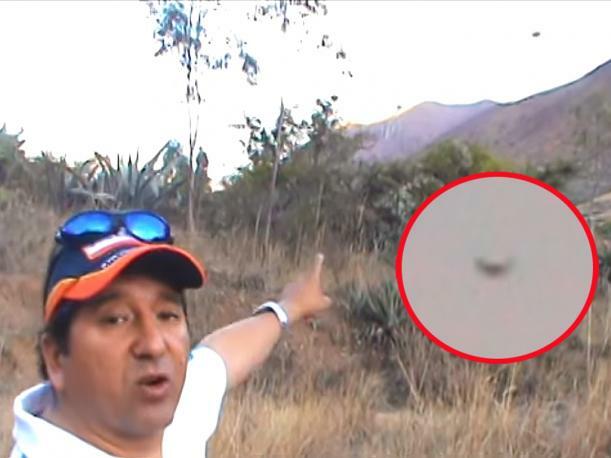 The video records the afternoon sighting of some UFOs (alleged) in the vicinity of Puchuchinchi. UFO buffs and students have rekindled their interest in Peru due to the large number of sightings in recent months, which have been disseminated over social media. On Saturday, June 11, members of the broadcast specializing in UFOs was headed for Pucuchinchi, a community on the left bank of the Higueras River, some 500 meters from the Kotosh ruins. Once installed at the Casa Hacienda San Germán, they saw a UFO in the sky which bemused YouTube users and become a source of controversy among UFO believers. Around 17:00 hours, the group was about to perform an earth-worship ritual as part of preparations for the Dia del Campesino (Peasants' Day), when they saw an unidentified flying object hanging over Cerro Marabamba. Those having knowledge of the UFO phenomenon immediately noticed that the apparent UFO appeared and disappeared. Their astonishment was even greater when they realized that two UFOs were involved, one of them very close to the other. But minutes later, they were able to see the UFO again, being able to record it and capture greater details on the supposed craft, which apparently changed shapes, as explained by one of the 5 witnesses to the phenomenon. The YouTube video is already being posted to other websites specializing in the UFO subject. And what do you believe? Are these UFOs over the skies of Peru?